Robert Lewandowski is fit and should start for Bayern Munich against Borussia Dortmund, having missed Tuesday's win over Celtic in the UEFA Champions League. Robert Lewandowski is set to return for Bayern Munich against Borussia Dortmund in Saturday’s Klassiker clash after shaking off a muscle strain. The Poland captain – scorer of 14 goals in all competitions already this season – limped off after netting in the 2-0 win over RB Leipzig last Saturday and failed to make the UEFA Champions League trip to Celtic on Tuesday, which Bayern won 2-1 to book their passage to the knock-out stages for the tenth consecutive season. James Rodriguez played up front in Lewandowski’s stead, but coach Jupp Heynckes is confident he’ll have his first-choice No.9 back in time for Saturday’s game. Watch: All 87 of Lewandowski's Bundesliga goals for Bayern! 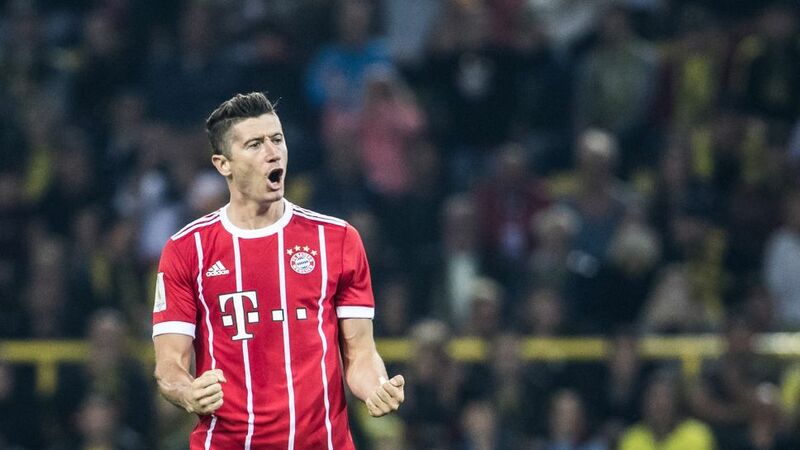 Lewandowski has lined up against his former employers 12 times since swapping the Signal Iduna Park for the Allianz Arena in January 2014, scoring eight times.